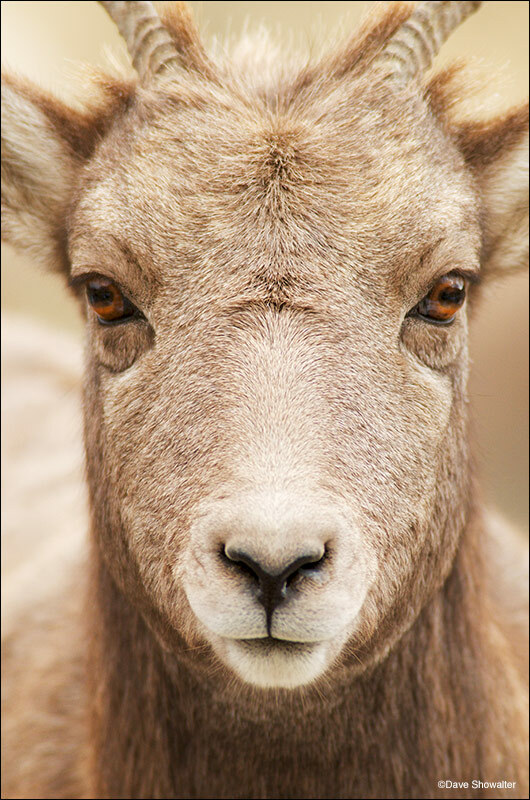 I was focused on bighorn rams during the autumn rut when this juvenile approached me and looked straight into my lens. Ovis canadensis. Photo © copyright by Dave Showalter.